Under the Emperor Trajan, probably between AD 110-117, the existing harbour was enlarged with the establishment of a hexagonal basin a short distance to the east of the earlier Claudian basin. It was surrounded by a number of major new buildings, including a temple and precinct, the Palazzo Imperiale and associated administrative buildings, a possible shipbuilding area and many warehouses. Areas that had been established under Claudius and Nero were also rebuilt. This enlarged port complex was connected both to the Tiber by one new canal, and to Rome by an extension of the Via Campana/ Portuensis. 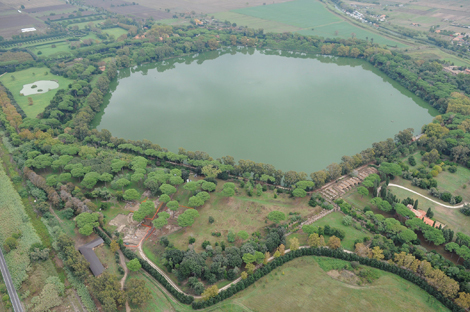 Similarly, its connection to Ostia was enhanced via the addition of another new canal heading southwards across the Isola Sacra.